Feel the rock and roll fury of July Talk! I love being right about a band. I’ve been kind of nerd-gasming in my quarterly music faves posts (albums and songs) ever since hearing July Talk’s debut, Guns + Ammunition, after it dropped early this year. My hope was that live they’d be just as energetic and engaging. And they were everything I could have hoped they would be. Imagine Tom Waits and Tanya Donelly fronting the Jon Spencer Blues Explosion. Peter Dreimanis scratchy, husky voice and the cleaner, poppier vocals of Leah Fay make an unlikely but fortunate pairing, fronting a furious, danceable blues-rock combo. Their stage presence helps augment their sound, creating a terrific live blast of sound and movement. 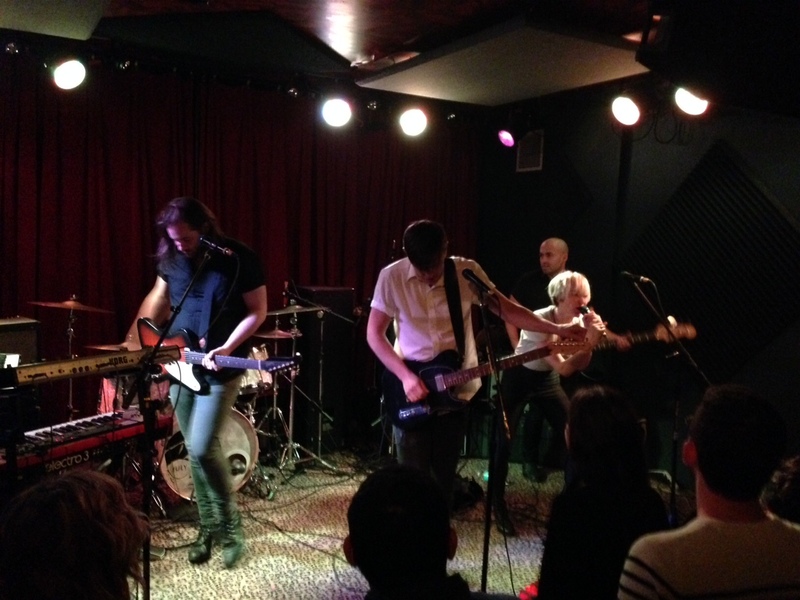 Their Oct. 11 show at Radio Radio was, for me, just an invitation to go see them again. I was not looking forward to seeing the evening’s headliner, Rural Alberta Advantage, nearly as much as I had anticipated July Talk’s performance. While I liked RAA’s first two albums, their latest – Mended With Gold – lacked punch. I was kind of expecting to see a large band – six or seven members – playing somewhat lethargic, rootsy alt rock. I was not right about that. Rural Albert Advantage is comprised of only three people, and they bring the energy and full sound of a band of a half dozen musicians. I was a bit blown away. I think a lot of credit goes to drummer Paul Banwatt, whose spirit and ability help give the RAA a full sound for such a small crew. The tour continues. I recommend you check it out.